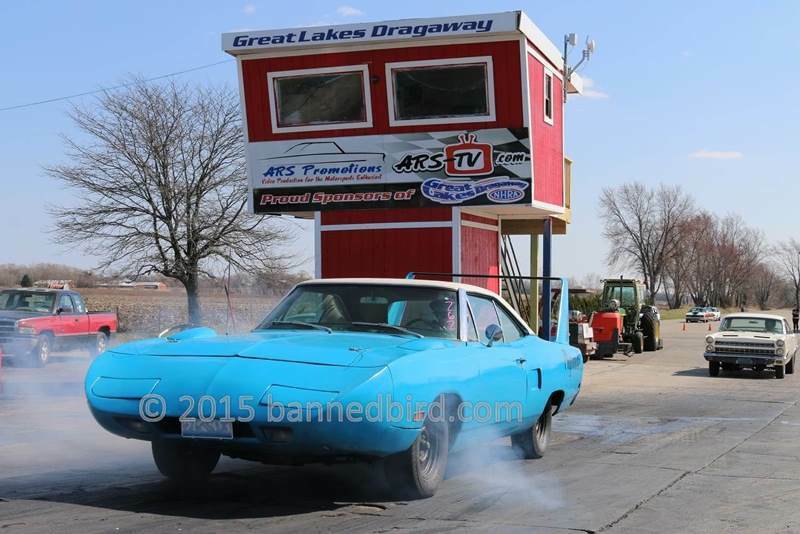 Drag racing at Great Lakes Dragaway April 2015. Above: The hard trailer tires did make a lot of smoke earlier. Above: No chin spoiler at this time. Above: This was a 15.8 second pass with the old motor and cheap tires. Hopefully the Gen III Hemi will do better! 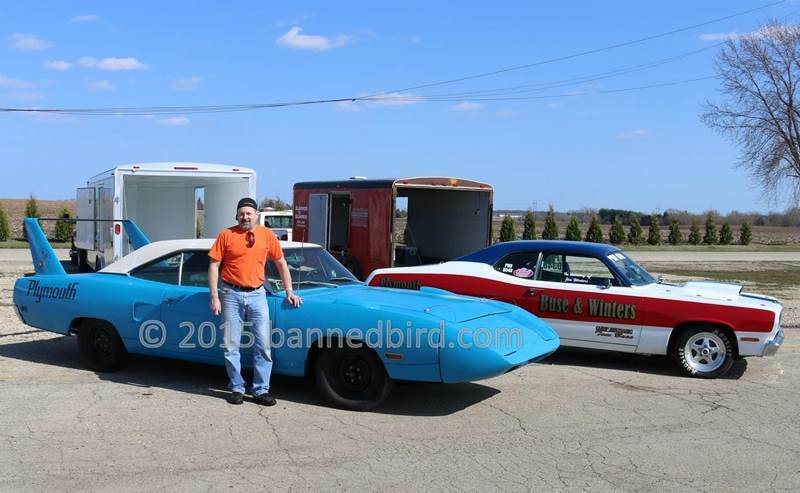 Even though the 1970 Superbird was not a likely quarter mile car, a few were campaigned back in the day. Today, most people don't remember that they were too heavy to be anyone's first choice to make into a quarter mile car. 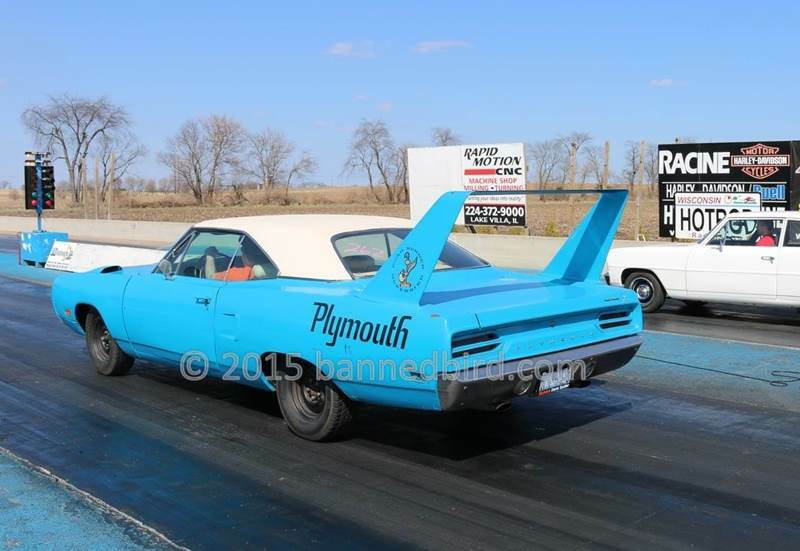 But, when a Superbird shows up at a drag strip, cameras and eyeballs come to attention. 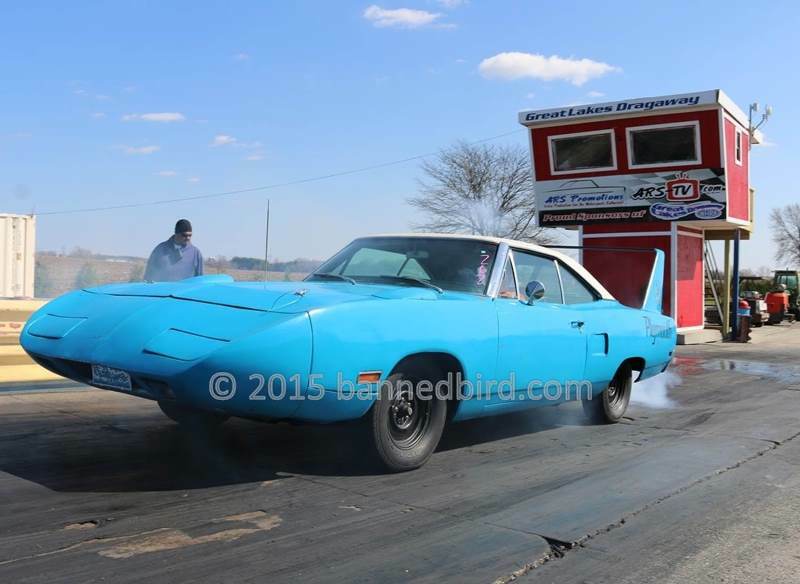 The Superbird is such an iconic muscle car, people want to see it actually performing. 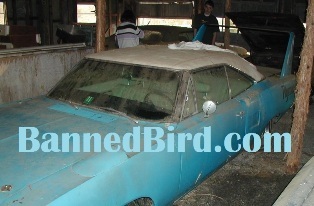 At the time of these pictures the decision to make this Superbird a cross country capable 10 second car was made just a few days earlier. The other path would have been to not touch the Superbird, and instead modify the owner's new Challenger Hellcat (on order) for lower quarter mile times.